If there’s one thing that’s certain, it’s that the vaping industry is a hotbed of innovation and cutting-edge technology. For many vapers, it’s tough to stay on top of the latest vape devices and products debuting on a regular basis, especially as many top brands continue to redefine the apparently limitless possibilities of vaping. Though the vaping world certainly moves at a fast and furious pace, it’s an exciting community to be a part of, especially because constant innovation results in improved experiences for all vapers. 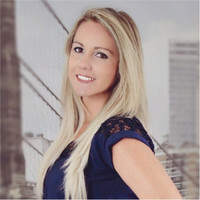 Many people first become interested in vaping as an alternative to traditional cigarette smoking, and vape manufacturers have definitely taken notice of this rapidly-growing group of new vapers. A large focus of vape product design and engineering has been creating an experience that’s very authentic to the “old-school” cigarette, making it easier for people to transition to vaping while still enjoying the positive elements of smoking. Among the most popular vape devices that have joined the ranks recently are vape pod systems, offering an analog-style experience with a generous dose of advanced technology. Pod systems make vaping incredibly convenient, user-friendly, and affordable, essentially achieving the vaping trifecta. For many vapers, a pod system is the ideal balance between a cheap, basic vape pen and an ultra-advanced, expensive mod: not overly complicated, reasonably budget-friendly, and still able to provide an excellent vape experience. One of the reasons that vape pod systems are so popular is their status as a happy medium between basic e-cigs and advanced vape mods. Many vapers start out with an inexpensive, simple e-cig or vape pen, learning their way around the device and building an understanding of what they like and dislike in a vape session. While these basic devices absolutely serve a purpose in the world of vaping, they do have some serious drawbacks. Although they are easy to use, cheap, and very portable, basic e-cigs and pens don’t offer much in terms of battery life or power. However, while advanced mods provide a huge range of customization options and high-power potential, not all vapers want to spend the money or time learning to work with the more-complicated devices. For vapers that want a balance of affordability, convenience, and performance, a new option has been presented in the form of the vape pod system. These systems are capable of providing an excellent vape experience, while still keeping cost and hassle down. As you may guess from its name, a vape pod system has one defining characteristic. It utilizes a pod to hold and then vaporize your e-juice, rather than an atomizer or tank that typically accompanies a standard mod. These devices are often described as “all-in-one” or “AIO,” because they include everything you need for vaping: the cartridges with the built-in coil, a wick, and e-juice. You won’t need to attach a tank or atomizer, because a pod system is a self-contained device. Average pods can hold anywhere from 1 mL to 3mL of e-juice, which works well for regular vape sessions. These devices run a bit larger than the slim and compact e-cigarettes on the market, but they do tend to be quite a bit smaller than a regular box mod. You can find pod systems that have the sleek, high-tech look of a USB drive, or ones that have been designed to imitate the sturdy style of a traditional box mod. Although vape pod systems are pretty straightforward, there is one major decision you’ll have to make when purchasing one: choosing an open system versus a closed system. Ultimately, deciding which one you want comes down to personal preference and vape style. An open system vape pod is refilled manually by the vaper, making it possible to use your favorite e-juice with your pod system. Typically, all you need to do is unscrew or unplug the top, then refill the pod with a dropper or syringe. Depending on the model, you may even be able to pour the liquid directly from the e-juice bottle into the pod. Obviously, one of the biggest benefits to this type of pod system is the ability to use your preferred e-juice, allowing for complete freedom in terms of flavors and nicotine levels. Plus, many vapers find that open systems produce a smoother draw and bigger, more voluminous clouds. 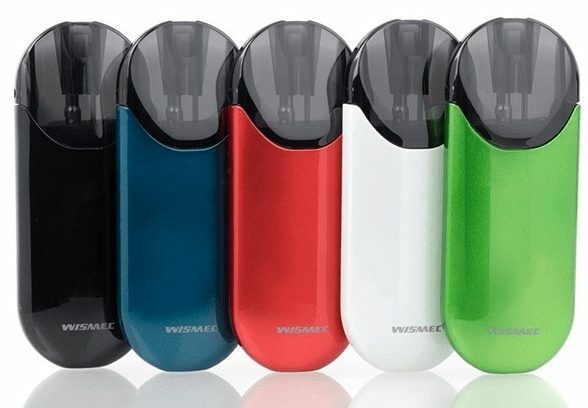 In terms of drawbacks, an open system vape pod can sometimes make it slightly difficult to switch between juice flavors, and some vapers don’t want to deal with refills at all. You should plan to perform regular cartridge and coil replacements, which aren’t necessarily complicated but might be a deal breaker for some. A closed system vape pod is comparable to a cartomizer in that it utilizes pre-filled cartridges. Refills are quick, only requiring you to remove the empty cartridge and click in a new one. Though there are not as many e-liquid options in cartridge form (as compared to standard juice bottles), you can still find a good variety of flavors, nicotine strengths, and brands. Another plus to a closed system is its affordability. With almost no maintenance or replacement parts needed, you can keep costs low. On the other hand, closed systems have a reputation for producing weak draws, a major drawback for some vapers. 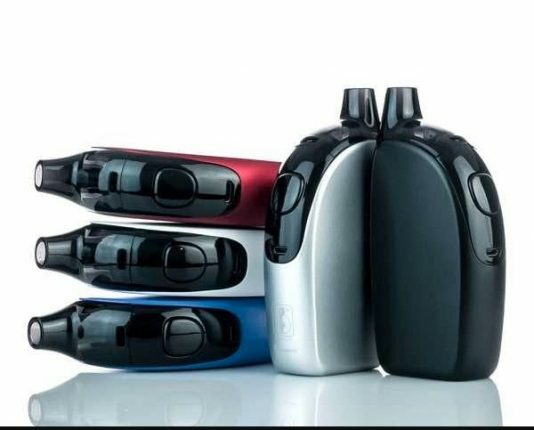 Also, this type of vape pod system can create the occasional “spitback,” a minor but annoying occurrence in which e-liquid bounces off the coil rather than vaporizing. Vape pod systems are becoming increasingly popular and for good reason. With a great range of benefits, pod-based systems are earning favor among vapers who want convenience, portability, and performance. Vape pod systems are easy to use. Pod systems keep things simple, minimizing the effort required on your end. There aren’t tons of settings and modes to fiddle with, unlike the more complicated box mod options out there. Typically, you’ll use just a single button or draw-activated firing, and refilling/replacing e-juice is quick and easy. Vape pod systems are great for vaping anytime, anywhere. Because vape pod systems are super compact and don’t require much effort, they’re perfect for on-the-go vaping. Vape pod systems have lots of versatility in terms of e-juice options. If you choose a closed pod system with pre-filled cartridges, you can expect a very high-quality selection of juices. If you go with the refillable open pod system, one of the major benefits is the ability to choose from a huge variety of e-liquids. Much like a box mod or sub-ohm vape, a pod system can handle the thicker, higher-VG ratio e-juices that many pens and e-cigs cannot. Vape pod systems can offer a generous dose of nicotine. Many standard mods recommend sticking with e-liquids with 3-6 milligrams of nicotine for ideal flavor quality. However, many vapers aren’t satisfied with this level of nicotine content, especially vapers who are transitioning away from traditional cigarettes. However, pod systems are designed to be compatible with nicotine salts, which offer excellent nicotine concentration without any loss of flavor or vapor quality. Vape pod systems are very discreet. These types of devices are very small, so you can easily hold them in your hand without attracting attention. Plus, they aren’t designed to produce huge clouds of vapor, so you can enjoy a good vape session without drawing a crowd. Vape pod systems eliminate dreaded e-juice leaks. A leaky tank is one of the most frustrating things that can happen to a vaper, with even the most seemingly-airtight tanks often dripping small amounts of liquid. This can create a huge mess in your pocket or purse, and it’s generally not a good idea to get e-juice all over your hands because of the nicotine. Luckily, vape pod systems are leak-proof due to their pod design, especially if you’re working with pre-filled cartridges. Vape pod systems are budget-friendly. With most pod systems ranging between $20 and $50, you can easily find an affordable option to fit your needs. Coming from the world of advanced box mods, where options can range well into the $100 range, pod systems are a good way to save yourself money. Vape pod systems are virtually maintenance-free. Another way that pod systems save you money and hassle is by being wonderfully low-maintenance. You won’t need to continuously buy replacement parts or switch out components, keeping the effort minimal. Like any vape device, a pod system does have a few drawbacks – but for many vapers, these disadvantages aren’t enough to detract from the major benefits. Battery life is sometimes limited. You’ll need to charge a pod system more often than you would a regular box mod, but there’s typically still plenty of battery life to satisfy the average vaper. Plus, thanks to easy micro-USB charging, it’s not difficult to power up while on the go. E-juice capacity can run on the low side. If you’re used to a standard vape mod, you might be surprised at some of the low numbers when it comes to vape pod liquid capacity. It’s not unusual to see pod systems with e-liquid capacity around 1.5-2mL, though there are options that run well into the 7 or 8 mL range. Depending on which pod system you choose, your refill frequency might go up a bit – or it might not. Vape pod systems aren’t designed for cloud chasers. Though you can expect a high-quality experience from a vape pod system, they aren’t engineered to produce the crazy amounts of vapor that some mods do. Is a Vape Pod System Right for Me? While many other vape device options are created for a specific type of vaper, vape pod systems are actually universally appealing. They exist in a sort of middle ground between the super-advanced and the super-basic, working well for vapers on both sides. Some vapers work their way up to a vape pod system after starting out with a basic e-cig, while others make the switch as a way to simplify their vape experience. For beginning vapers, a vape pod system can be an excellent second step after getting comfortable with an e-cig or basic vape pen. It’s natural that new vapers would want to start with the simplest option when learning the vape basics, but many people find that they’re ready to transition to a higher-quality vape experience pretty quickly. If you’ve used a vape pen or e-cig and are finding yourself bored or unsatisfied, a pod system is a smart next move. It can provide similar ease of use while taking quality up a notch, keeping all the simplicity you appreciate but upgrading your overall experience. For advanced vapers, a pod system is a good way to dial back on the hassle that’s sometimes associated with high-powered box mods. High-end mods often come with a long list of settings and options, which can provide hours of fun experimentation and calibration. However, many advanced vapers find that they’re ready for a no-frills vape experience, but don’t want to sacrifice quality. A vape pod system can offer the best of both worlds, making vaping easy and enjoyable to even a discerning vaper. For first time vapers, a vape pod system can provide an authentic, cigarette-like experience without the tar, ash, and smoke. Vape pod systems are simple enough that a newbie can learn how to use them, and the popular draw-activated firing system style recreates the classic smoking experience. Shop our Vape Pod Selection! So you’ve made the decision to pull the trigger and try a vape pod system for yourself – but you aren’t sure which one to buy. VaporFi has a huge selection of options from the vape brands you know and love, and every pod system we sell has been chosen for its great quality, smart design, and excellent reviews. The Atopack Penguin is a great option for vapers looking to jump into pod systems because it falls right in the middle in terms of price. You don’t have to blow your budget on this device, but you’ll still enjoy plenty of great features. One of the most notable features of the Atopack Penguin is its incredible juice capacity, coming in at a jaw-dropping 8.8mL. This almost unheard-of capacity means you’ll have plenty of e-liquid at your disposal, with refills few and far between. Powered by a 2000mAh battery and including premium Joyetech coils, this vape pod system has everything to offer in terms of high-quality performance. The Joyetech Atopack Penguin All-in-One Vape Starter Kit. If you’ve been vaping for any amount of time, it probably comes as no surprise to see SMOK on our list of best-sellers. The brand is known for taking a cutting-edge approach to vape design, and their Nord Vape Pod is no exception. Super reliable, comfortably ergonomic, and offering both sub-ohm and mouth-to-lung coil options, the Nord is the ultimate in pod system versatility. 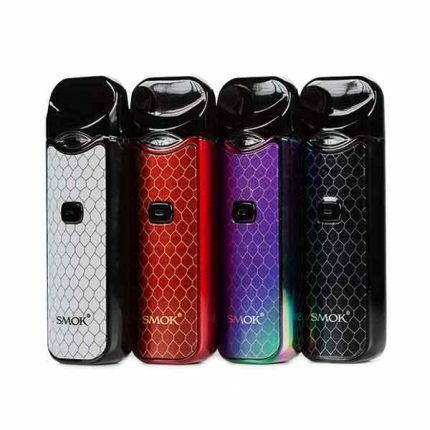 It’s a relatively new arrival to the vape pod scene, gaining popularity as a budget-friendly option for experiencing the famous SMOK quality. SMOK Nord Vape Pod Starter Kit. 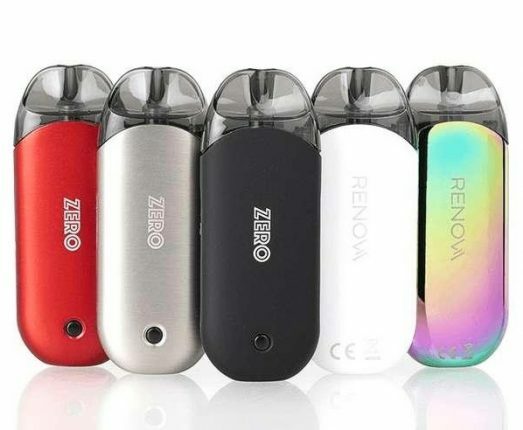 The Vaporesso Renova Zero is a great option for vapers who prioritize portability, with its compact size and sleek shape making it incredibly easy to take on the go. Even though the Renova Zero is small, it still packs a good punch performance-wise. The built-in 650mAh battery is easily rechargeable, with the device running up to 12 watts and providing satisfactory power to get you through a good day of vaping. If you grab the starter kit, you’ll also score a handy refilling bottle, which eliminates the mess of topping off your e-juice pods. The Vaporesso Renova Zero All-in-One Vape Pod System. Among the most affordable pod systems out there, the Wismec Motive 2 AIO keeps things sweet and simple. It’s incredibly user-friendly but doesn’t sacrifice on features, including a built-in 500mAh battery, a protection suite, leak-proof design, and useful battery indicator. The pod cartridge is easy to refill, holds up to 3 mL of juice, and works well with salt-based e-juices. The Motiv 2 focuses on the power of simplicity by eliminating the fire key and scroll button, relying on draw-activated firing for an enjoyable authentic vape experience. Vape pod systems are an affordable, convenient way to enjoy a great vape session, no matter what your vape experience level or style. VaporFi offers a wide selection of vape pod systems to choose from, including top-quality options from brands like SMOK, Vaporesso, Wismec, Aspire, and more, with choices at all price points. We have pod systems in all shapes and styles, so you can find one to fit your vaping personality. Still not sure if a pod system is the right fit? Check out our other vape devices and learn more about all things vaping on the VaporFi blog today. While you’re on our website, be sure to browse our giant collection of premium e-juice, which includes the option to get creative and design your own custom blends.